Hair loss occurs do to a variety of reasons. They can be internal or external. A consultation, along with a microscopic examination of your hairs chemical structure and scalp condition, by a qualified medical professional will help you make an informed decision regarding your hair loss. Listed below are some forms of hair loss. Androgenic alopecia can be caused by a variety of factors usually, tied to a genetic predisposition, hormones, pregnancy, and menopause. The hormone DHT appears to be partially the blame for the miniaturization of hair follicles in men and women suffering with male\female pattern baldness. Heredity also plays a major factor in the disease. When your body goes through something traumatic like surgery, major dietary changes ill health or heavy stress, many of the hairs in the anagen (growing) phase can shift all at once into the shedding (telogen) phase. About 6 weeks to three months after the stressful event is usually when the condition telogen effluvium can begin. Anagen effluvium occurs after any insult to the hair follicle that impairs its metabolic activity. This hair loss is commonly associated with chemotherapy. Since chemotherapy targets your body’s rapidly dividing cells, your body’s other rapidly dividing cells such as hair follicles are also greatly affected. This condition is caused by localized trauma to the hair follicles from tight hairstyles such as pony tails, braids, corn rows, wigs etc. If the condition is detected early enough, the hair will regrow. This has shown to be related to the immune system. If you think that you might have this condition, you should see your doctor immediately. Will hair products help my hair grow thicker? Some products will and some will not. 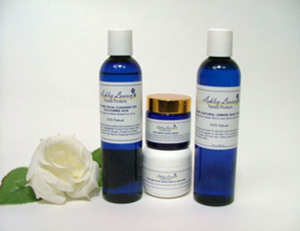 Our natural hair products will help your hair grow in thicker and stronger if your follicles are intact. Ashley Lauren’s hair products accelerates the growth rate of your hair by allowing your scalp to receive more oxygen to the hair follicle, thus preventing your scalp from becoming clogged with substances that can stunt hair growth and contribute to thinning. General health, age, diet and hair styling choices will also affect the speed at which your hair grows. You are always welcome to come in for a consultation or see your doctor. Next week I will be bringing you information on the various types of hair loss to help you make intelligent decisions regarding your hair's health. Hopefully this information will allow you to address your condtion and take the proper steps to help you attain a healthier head of hair.